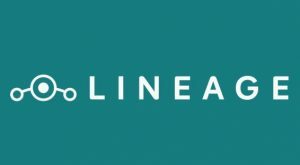 Contact LineageOS: Find below support details of LineageOS. Besides contact details, the page also offers a brief overview of the mobile operating system. LineageOS is an operating system for the Android mobile platform. Fully free and open source, it enables smart phones, set top boxes, and hand held tablets. Initially released in 2016, it has had many upgrades and versions released and currently it is on 16.0 version, based on Android Pie. Available in English and many other languages, Lineage is fast becoming popular for Android mobile devices. Lineage believes in making each user’s experience personal and thus has ensured customization in the OS and LineageOS has many features that make it personalised and as per user choice, thus making each device unique. The new version of Lineage OS 16.0 incorporates all the unique features associated with earlier versions while adding more features and reliability in the privacy guard and other areas. There have also made some changes to the Styles API to make it compatible with dark mode in Android, which will enable third party apps to follow the system style across apps. Another safety feature of the new LineageOS is that new USB connections are blocked on locked devices and unless authentication is activated, it will not work. On an ongoing basis Lineage will be launching additional devices after changes are made to build scripts so as to combat complications and handle unique features of modern devices. Users who are upgrading to LineageOS 16.0 are requested to make a backup of all existing data and then download the build and a suitable add ons package from the updater app. After formatting the system partition, they should follow instructions to install LineageOS from recovery. Users can also set up custom automatic update checks at regular intervals in the updater, so they can be abreast of latest features and updates. Some changes have been made with regard to bug reporting. LineageOS has now moved away from Jira and is aligned with GitLab issues for better detection, and translations features are available in Crowdin for native language users. Latest updates for Android users are available on the LineageOS community and contributions can also be made to Gerrit, Wiki and translate options. Discussion regarding Android devices and features are always on at subreddit as also reports on bugs and issues. To download the OS, head to the Download section on the website. You can download by filtering through device types such as Asus, Fairphone, Google, Huawei, Lenovo, LG, Nextbit, Nubia, Oppo, OnePlus, Samsung, Sony, Yu and Xiaomi. Also follow the homepage, for all latest news, changelog updates, new features and much more.